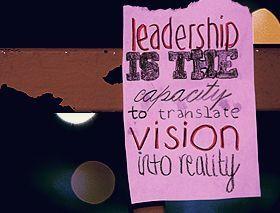 Leadership is the quality or the primary virtue that every leader possesses. A leader knows how to lead from the front and deal with his subordinates. Without effective leadership, a group of people cannot synchronise their energies and efforts to produce the desired results effectively. A leader bonds like a friend and guide with his subordinates and makes them gel with each other into a strong and cohesive unit. Leadership and learning are indispensable to each other. Effective leadership involves inspiring average people to do the work of their superiors efficiently. In the words of Colin Powell, “A nation which has forgotten the quality of courage which in the past has been brought to public life is not as likely to insist upon or regard that quality in its chosen leaders today - and in fact we have forgotten.” Leadership has to be effective so that maximum results can be produced by a team that is being spearheaded by a leader. A leader has to understand the psyche of all of his subordinates and make them realise their potential.